The Kings Cross Steelers was the world’s first gay rugby club. Simon Davis, Marketing and Communications Secretary of the Steelers, explains how the club has grown and the many ways supporters can get involved. Like all the best ideas, this one also happened in a pub. In 1995 a group of guys got together to form the Kings Cross Steelers – a rugby club for gay and bisexual men. They wanted to play rugby in an inclusive environment where they could be open about their sexuality and enjoy the sport they loved. It was the world’s first gay rugby club and to this day, the central function of the club is the same. We provide an enjoyable and open environment for the playing of rugby primarily by gay and bisexual men although we’re open to anyone who wants to enjoy the sport. The Steelers have been at the forefront of a sporting movement seeing a growth of International Gay Rugby clubs around the world which can only be beneficial for the LGBTQ+ rights that follow the visibility and acceptance. Back home in London, the club has grown in recent years to four full squads playing regular games. Our 1st XV are playing in the highest level of their leagues ever and the 2nd and 3rd XV are also doing extremely well. Every year we compete in one of the biannual international tours, either The Bingham Cup or the Union Cup which this year will be in Dublin. The 1st XV have won the Union Cup the last 6 tournaments. In 2020, which happens to be our Silver Jubilee, we’ll be heading to Ottawa in Canada to compete in the Bingham Cup when it’s held there by the Ottawa Wolves. At every match you’ll find the same competitive environment as any other rugby club and also the same enjoyment of the third half back in the clubhouse. The social aspect of the Steelers is fundamental to the club atmosphere and is what draws many people to join, either as a player or supporter. Our social activities include our fundraising nights such as Ruggercub (normally 1st Friday of every month at The Two Brewers) and our Steelers’ Next Top Model and Drag Race fundraisers which have been sold out the last few years. We’re lucky to have the Two Brewers and Comptons sponsor us as well as XXL. We’re often found at XXL dancing off the bruises from games on a Saturday night – either celebrating a win or commiserating a loss, such is sport. XXL also kindly sponsored our tour to Amsterdam for The Bingham Cup in 2018, providing much needed equipment and support services to the players. We’re closely involved with Pride in London and have taken part in several campaigns. Last year we were one of the community groups chosen to appear in adverts across London. 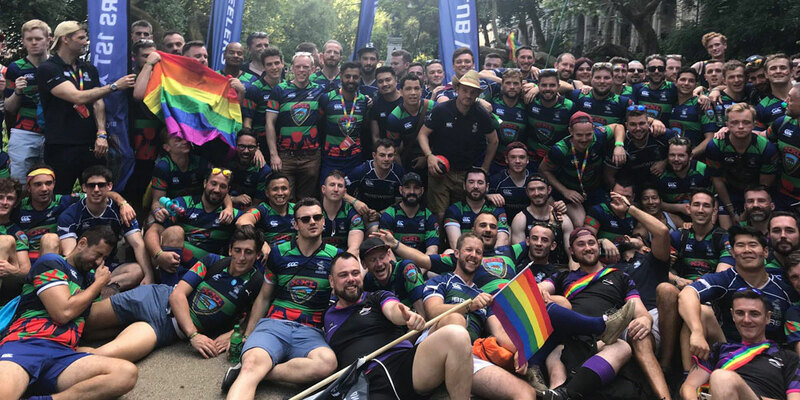 We’re immensely proud of who we are as a club and we invited members from other gay rugby clubs near to London to join us on the march and one of our players got engaged on the Pride march in 2017. The club also welcomes people without any experience in the sport. For the last 5 years we’ve run our popular and successful Pathway to Rugby program where over 12 weeks a team of coaches introduce rugby to newcomers. So if you’ve never played any team sports in your life or have moved to London and want to meet friends while learning rugby then the Pathway is for you. We even have a mini tour to Edinburgh for a rugby clinic weekend as part of it. We’ve just had a pass out game where everyone from September’s intake played their first full match against each other and the 4th XV. Men who have felt invisible in the wider gay community say they finally feel like they belong and make long lasting friendships on and off the pitch. Rugby is often said to be the game for all shapes and sizes, there’s a place on the pitch for everyone regardless or their body shape. There’s no body shaming in rugby, everyone is of equal value despite what the backs say about the forwards. If playing is not for you but you still enjoy rugby then our supporters are a great part of our rugby community in the Steelers. We have regular supporters who turn up rain or shine, WAGS and alumni. You get all the same benefits of membership, including reduced entry to our events and you can come on tour with us and cheer us along and be part of the fun. For the last six years we’ve put on a big fundraising variety show at Heaven where our members sing, dance and perform in a range of acts to raise money to support our rugby and our chosen charities. It’s a fantastic night and is all put together by our members with help from the director Jay Worthy. This year we’ll be doing it all again on Friday 10 May, so keep an eye out for tickets on our website. If you’d like to join the club as a player then email recruitment@kxsrfc.com or as a supporter you can email supporters@kxsrfc.com. More information on how you can get involved is also available on our website KXSRFC.com. 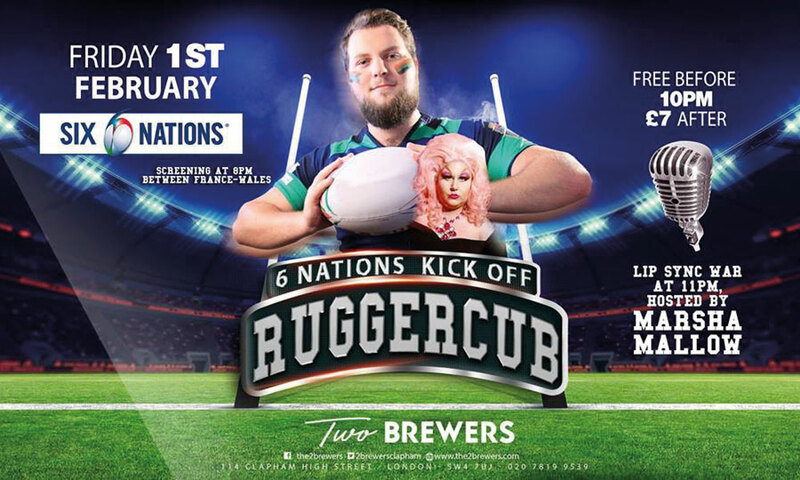 The next Ruggercub is Friday 1st February for a Six Nations kickoff. Free before 10pm, £7 after at The Two Brewers.